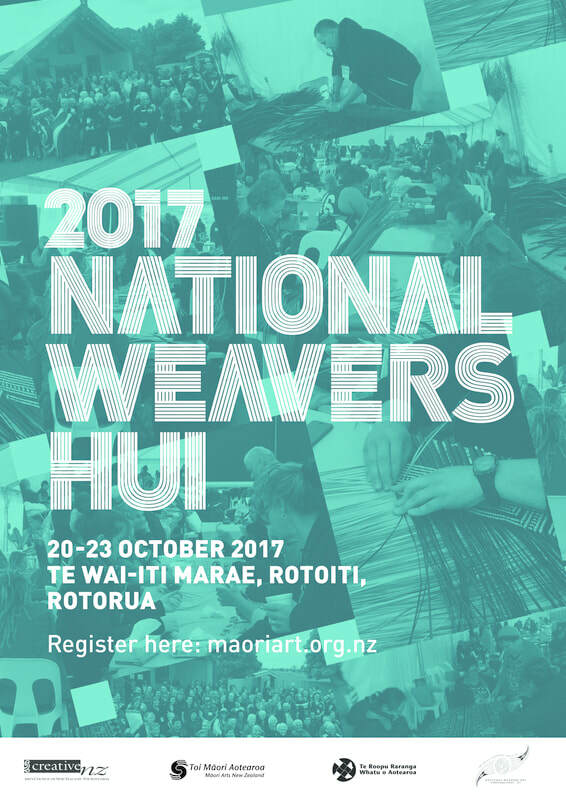 The National Weavers Hui is held biennially to provide Māori weavers with an opportunity to network and share in the progress and developments of Māori weaving techniques. This year's Hui will be held in Te Wai-iti Marae, Rotoiti, Rotorua. There are limited places for the Hui with priority given to already existing members. If all places are filled, you will be placed on a waiting list. Those who have not paid the registration fee by the nominated date, will be taken off the waiting list and replaced with one on the waiting list. One registration form per person. No applications or fees will be accepted once the Hui commences. Any accompanying spouses and/or whanau must also pay the full registration fee (No exceptions). Please fill out a separate registration per person. All attendees will receive a conference pack. Please ensure you wear your Official Name Tag at all times, this gives you access to all workshops, meals, and accommodation. Registration form must be filled and sent in regardless of payment options.